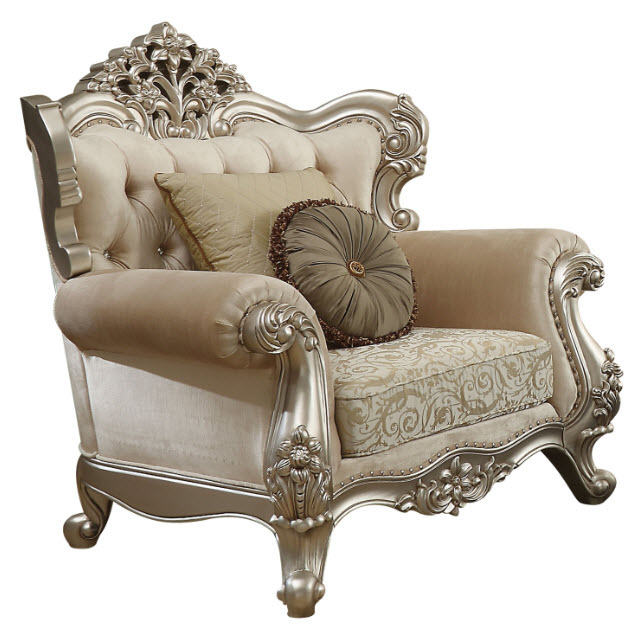 This beautiful elegant chair blends classic French and European inspired Victorian-era elements into one. The luxurious champagne finished, crystal like button tufted back and plush seat support you in lavish comfort and extraordinary style. The intricately carved solid wood frame outlines the gracefully curved rolled arms. The ornate carvings with metallic highlight to the detail work cascade across the skirts, and the mini wingback styled corners. 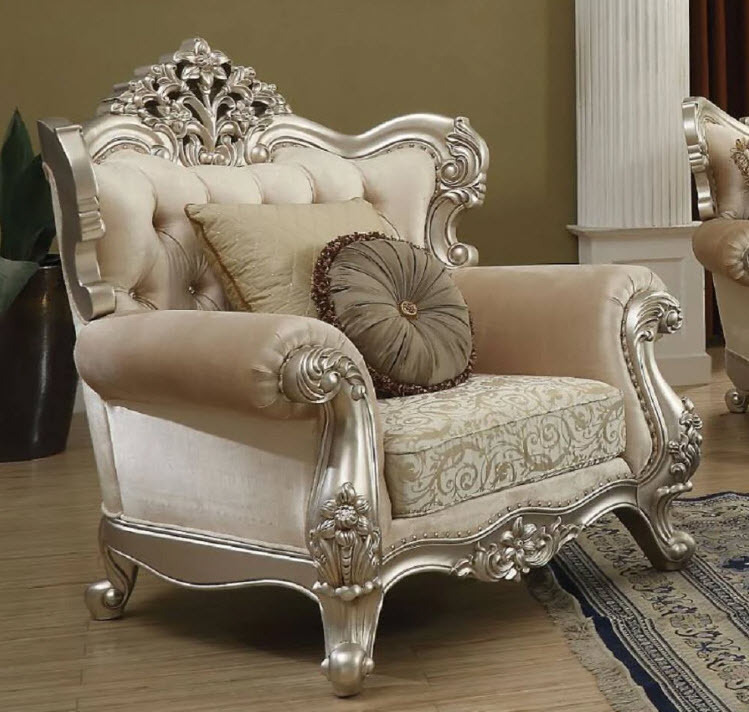 Add this beautiful chair to your living room to create a romantic and stylish space that everyone will admire.